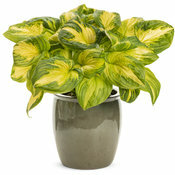 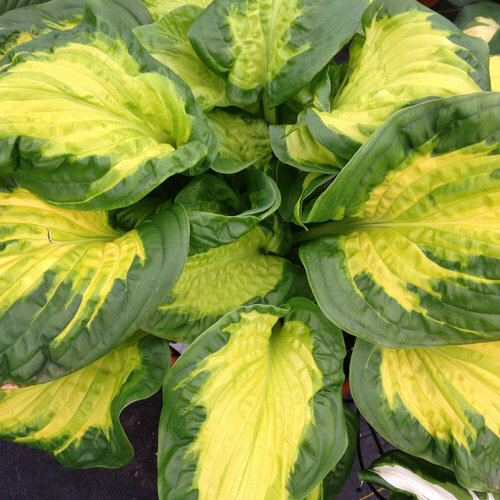 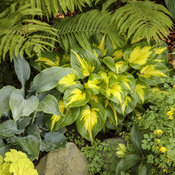 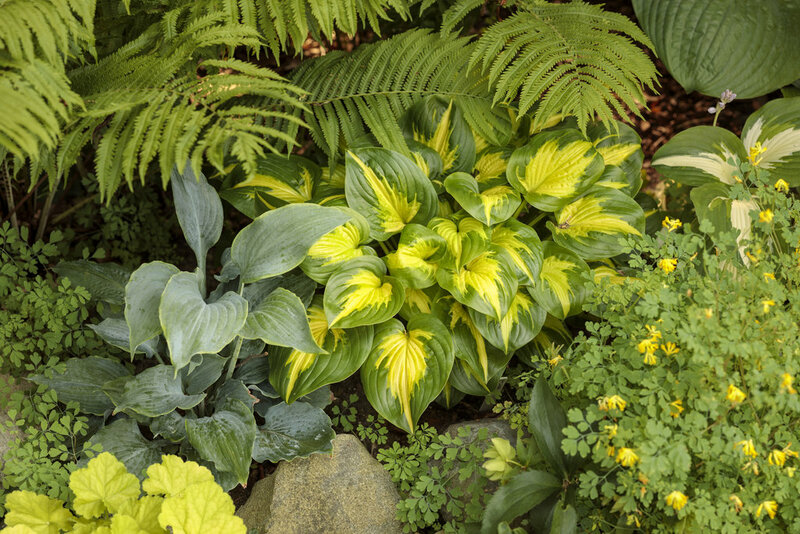 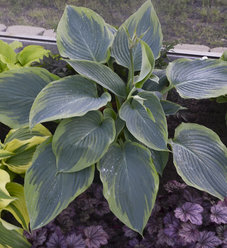 Bring style and refinement to your hosta garden! Very wide, dark green margins contrast with a bright, brilliant yellow margin. 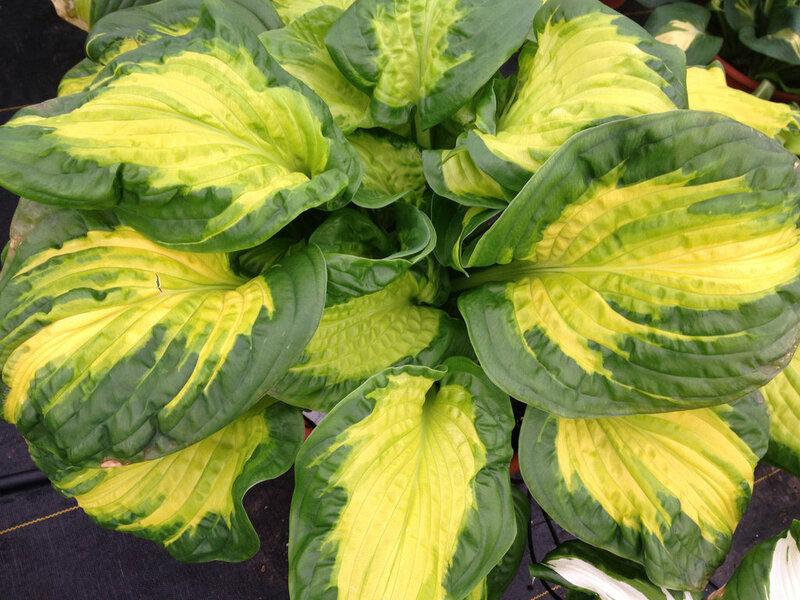 Margins have puckering when plant is mature. 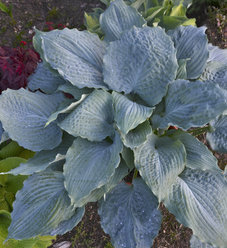 Near-white flowers.